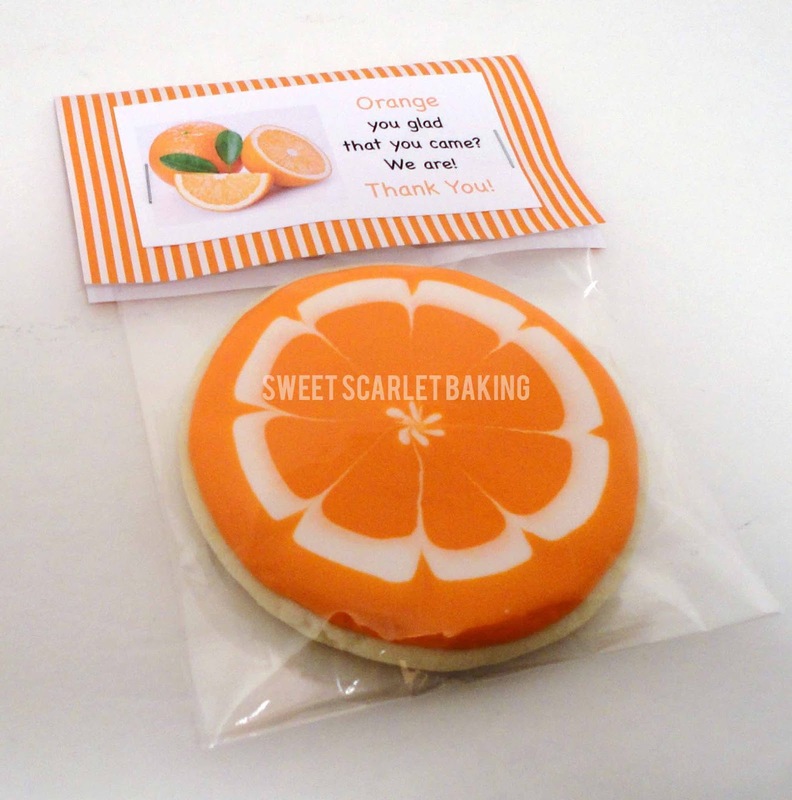 Sweet Scarlet Baking: Orange You Glad It's a Party! 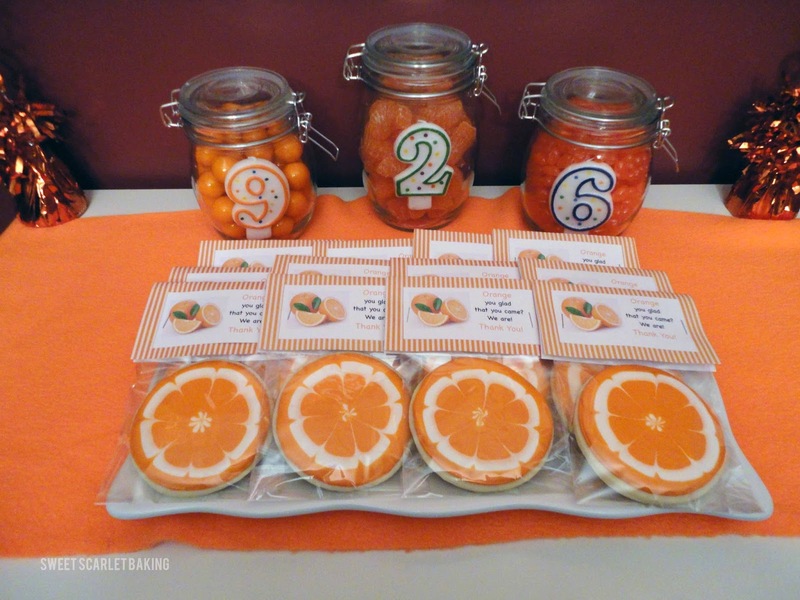 Orange You Glad It's a Party! to wish the boys a happy birthday. With three boys, I have pretty much done every boy party theme that there is. The two older boys were also having friend parties (Bowling and Avengers themes). 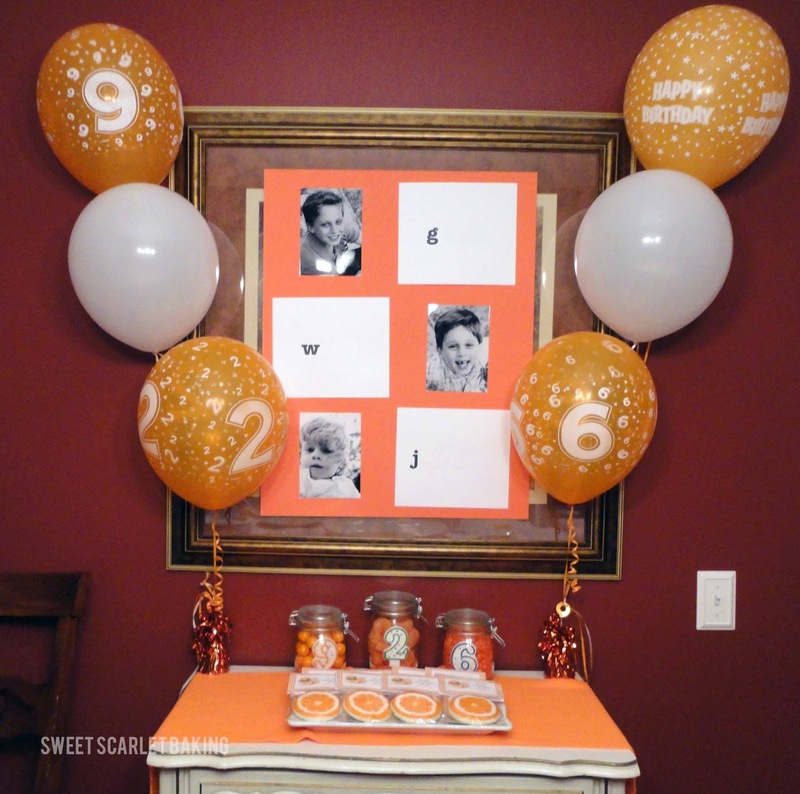 So, this theme was all about my 2 year old. This kid loves orange! I don't know why or how, but since he was itty bitty, if there was an orange toy, cup, bowl, etc, he would always choose and seek it out over all other options. So, a theme was born. 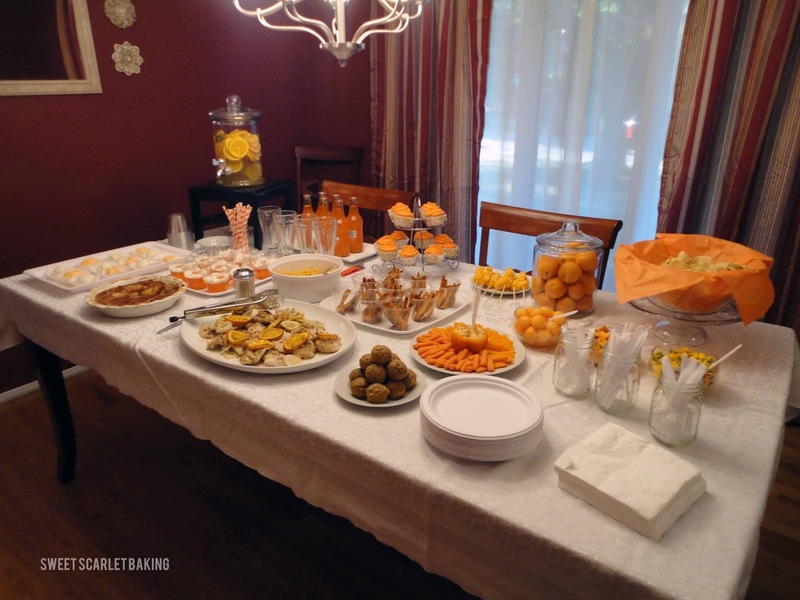 All decorations and food were orange! 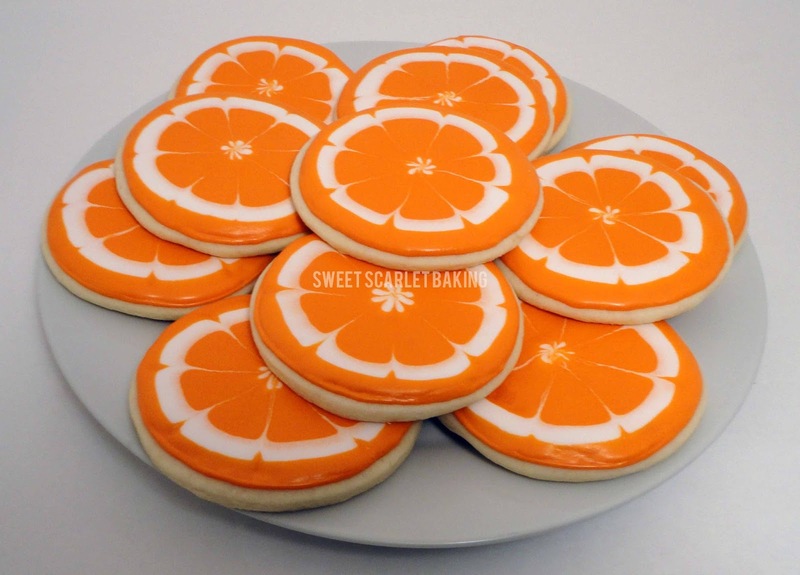 These orange cookies were inspired by Sweetopia. She has a great tutorial on how to create them. I even added a little orange extract into the cookie dough, yum! 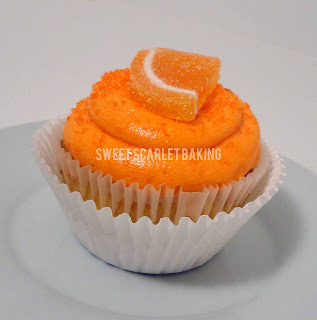 I topped these vanilla cupcakes with orange icing, sanding sugar and a slice of orange candy. my dear friend and talented photographer, Resa, of Resa Design Photography. 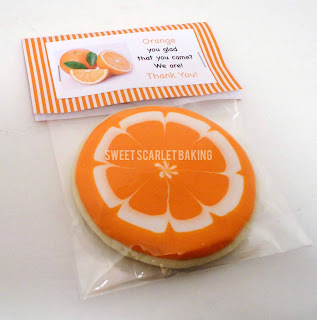 The orange cookies went home with the guests as party favors. These candy jars with the boys' ages are so fun filled with orange gumballs, orange slices and sunkist orange jelly bellies. Here is the dinner table of orangeness! For all my family members asking for recipes, the links are below. Happy Birthday to all of my sweet, funny, loud, messy boys!